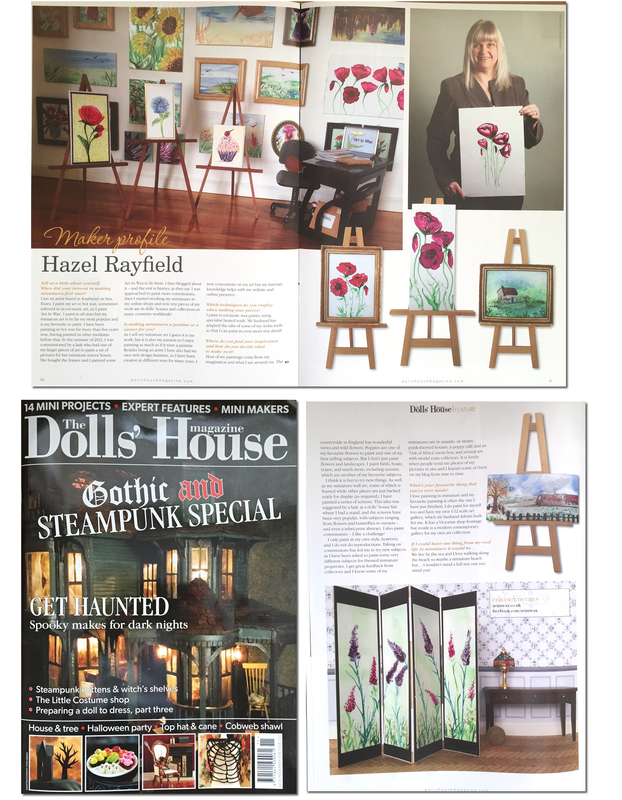 I am really excited to share that a feature / interview of me and my miniatures works of art are featured in the The Dolls House Magazine, as a meet a miniaturist profile piece. Together with the feature there is also an opportunity in this issue to win a piece of Art in Wax in miniature, see the magazine for details. Do you have a copy of the November The Dolls House Magazine ? Buy Dolls House Art Direct from the artist …….